On Thursday, the Big Ten announced TV designations and tip times for the upcoming 2018-19 season. Nebraska will make 10 national TV appearances. It's the most national TV games the Huskers have appeared on since the 2014-15 season. Dec. 28 vs. Michigan BTN 6 p.m.
Dec. 31 at Ohio State BTN 12 p.m.
Jan. 13 vs. Rutgers BTN 2 p.m.
Jan. 20 vs. Minnesota ESPN2 5 p.m.
Jan. 31 at Purdue BTN 7 p.m.
Feb. 7 at Michigan BTN 6 p.m.
Feb. 14 at Maryland BTN 7 p.m.
Feb. 17 vs. Michigan State BTN 3 p.m.
Feb. 25 vs. Iowa BTN 7:30 p.m.
March 2 at Penn State BTN 2 p.m.
Over the last two seasons, only three of Nebraska’s regular-season conference games have appeared on BTN each year. 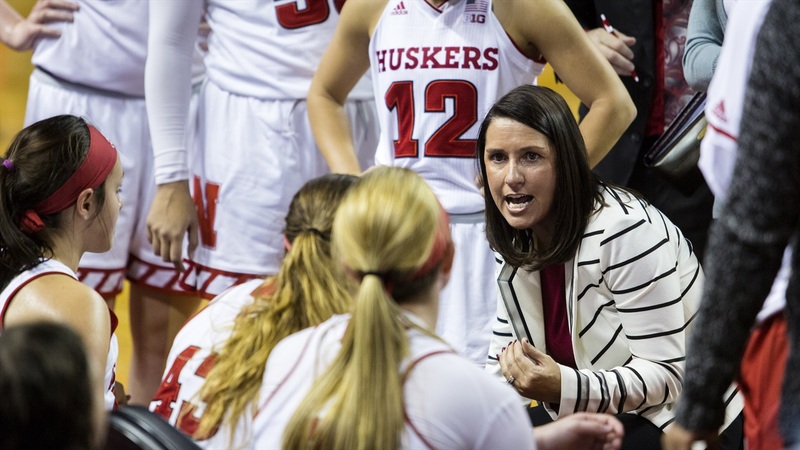 The return to the national TV scene might have something to do with Nebraska’s return to the NCAA Tournament last season under head coach Amy Williams following a 14-game improvement from 2016 to 2017. Williams was named the Big Ten Coach of the Year for 2017 following a 21-11 record and third-place finish in the conference. The Huskers will return each of their top five scorers from a season ago for the 2018-19 campaign. Each of the first 12 games of the Big Ten Women’s Basketball Tournament in Indianapolis will be aired on BTN this season, beginning on March 6. The Big Ten Championship Game will be aired on ESPN 2 on Sunday, March 10. Season tickets for Nebraska women’s basketball are currently on sale and can be purchased here.